CALL " The FUN BUS " & DON'T MISS THE BUS !!! The Winner's Corner . 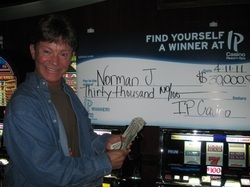 . .
Wow, Norman ! That's A $100 Slot Machine !! Tamela Hit All 9 Quick Hit Symbols on this Quick Hits Slot Machine !! EPIC JACKPOT ! 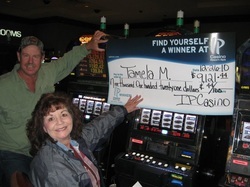 TAMELA WON OVER $9,000 at IP CASINO, Biloxi, Mississippi ! !